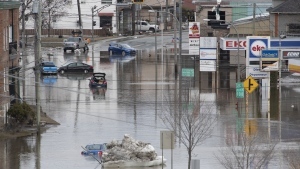 TVO journalist Steve Paikin is seen in this file photo. TORONTO -- A veteran journalist with Ontario's public broadcaster fired back and denied a sexual harassment allegation made by a Toronto woman, calling the claim "complete fiction." 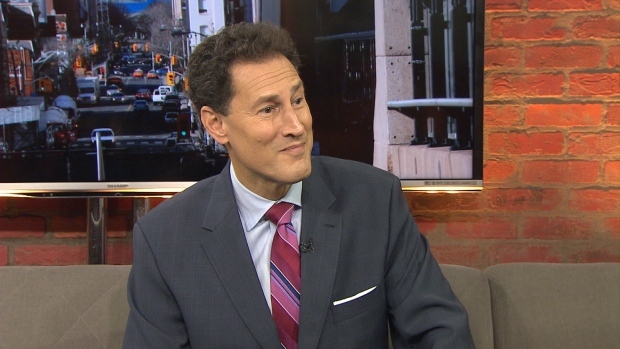 Steve Paikin, host of TVOntario's flagship current events program "The Agenda," broke his silence Tuesday with an extensive statement on Facebook, where he said he was "gobsmacked" by the allegation outlined to him in an email from his accuser over the weekend. "Even though I knew the allegations were 100 per cent false, I did what I suspected was the appropriate thing to do and immediately passed the email on to my superiors at TVO," Paikin wrote. "I knew the charges were bogus, but I knew I owed it to my employer to be totally transparent about all of it." Paikin said he spent two hours Sunday with TVO management and its lawyers "answering every imaginable question." His comments come after TVO announced Monday that an independent third party will investigate the allegations, during which time Paikin will continue to host "The Agenda." Paikin commended the broadcaster Tuesday for bringing in the investigator, adding that "I have no doubt that a thorough and fair analysis of the allegations and the parties involved will point to the truth." In a post Friday on Thomson's website Women's Post, she wrote that a political talk show host, who she did not identify, "asked me if I would sleep with him" after attending a lunch at a Toronto restaurant in 2010. She said her assistant was present for the meeting. She said she "politely" declined his offer, then went to the washroom and called her campaign manager, who advised her to leave, which she said she did. Before Paikin released his Facebook statement, Thomson tweeted Tuesday, "Women don't come forward because they get attacked on social media. Did Paikin go public to scare other women from coming forward? Sad how easily he's playing people." The allegation comes amid a social justice movement under the .MeToo and Time's Up banners, which has sparked an international conversation on sexual misconduct, harassment and assault. Paikin said the movement is "too important to be undermined by spurious allegations. The only good thing about this has been receiving the huge number of emails and phone calls from people who believe me and are prepared to say so publicly." "You've defamed me Sarah. I have no idea why, but you have. And I simply can't allow that to stand," he wrote. "The quest to reclaim my reputation, which you've tried to destroy, begins now. I look forward to vindication."